The historic landscape area of Mynydd-bach-y-Cocs equates to the extent of common land in the parish of Llanrhidian Higher west of three crosses between Wernbwll and Wimblewood. Mynydd-Bach-y-Cocs Common is an irregular shaped area of common land left over from the extensive encroachment onto common that took place during the post-medieval period. This area would have probably formed part of the larger area of Fairwood Common (HLCA 074) to the southeast. 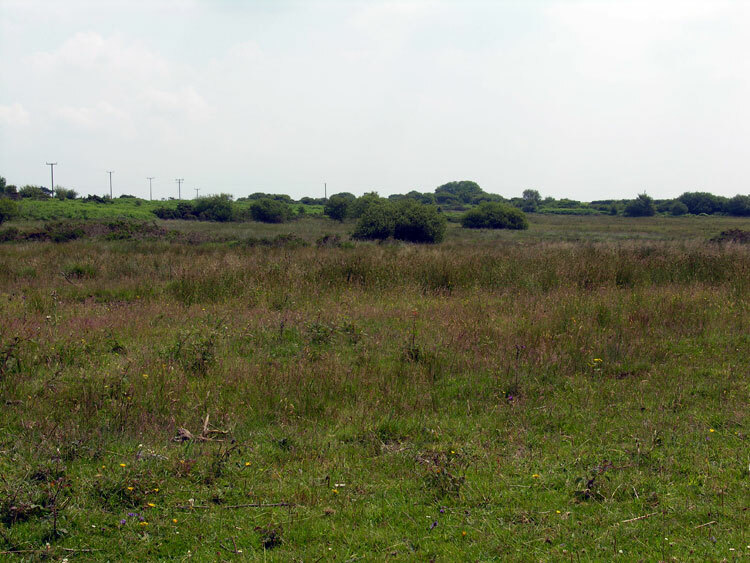 Other remnants of common land in the Penclawdd area include that at Wern Fabian and Cefn-bychan. North Gower is underlain by coal seams running east - west and this region differs slightly in character from areas in southwest Gower. Coal is known to have been worked in the Penclawdd area from at least the fourteenth century. Exploitation of coal greatly increased during the eighteenth century, being exported out of Penclawdd. Coal was worked on this area of common from at least the mid-eighteenth century, also a waggonway was constructed across Mynydd-bach (Cooper 1998). A downturn in the industry came in the early nineteenth century when coal started to be imported into Penclawdd rather than exported (Cooper 1986); coal was now needed for local supply only. Fortunes of the industry changed once again by the 1850s, a number of longstanding collieries opened around Penclawdd and Llanmorlais in the latter half of the nineteenth century and prospered until the mid twentieth century. Whitewalls colliery (80416) was established in this area in 1940 and operated until 1948 when it was closed after flooding (Cooper 1998). No further information is currently known about Whitewalls Colliery. The first edition 25-inch OS also shows a few quarries on the edge of the area. The area was most likely used for grazing from the medieval period and this probably continues until today.